Notes: There used to be a massive geocaching series set along all 81 miles of The Essex Way. I had covered about half of it, in various small chunks, before they all got archived overnight. But sections have gradually been reinstated by new owners. So today I went to pick up a stretch of 18 caches between Greenstead Church and Toot Hill. 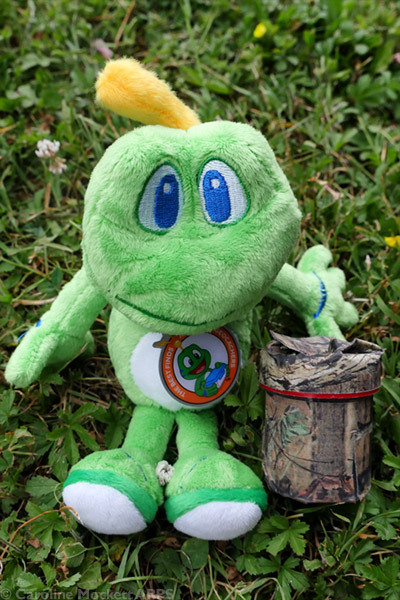 Signal The Frog® is the official Geocaching mascot, and can always be relied upon to accompany me on caching expeditions when other friends aren’t available! Here he is with my 7500th find, the last one for today. Notes: I had an enjoyable day helping some geocaching friends clean up some rubbish in Brightlingsea before having a great walk nearby. 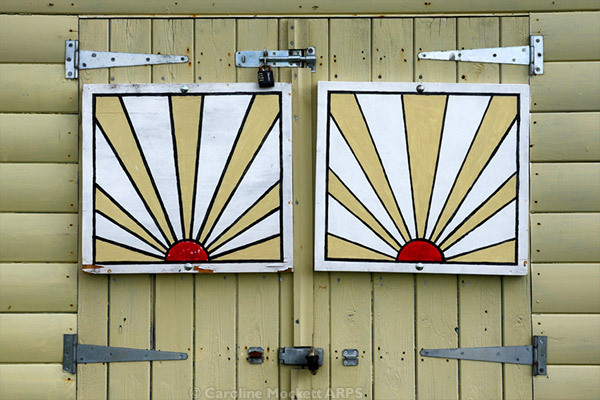 I spotted this surprised-looking beach hut during my wanderings.